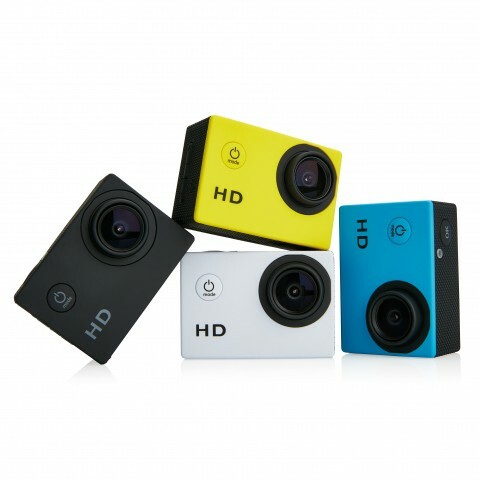 Strike a pose with our Promotional Cameras! What better medium to brand your logo to, than an item that is designed to be looked at all day? Whether you’re looking for a low cost disposable personalised camera for a retro feel, or a high quality digital customised camera that will last for years, you're sure to find something in this range. Custom printed cameras are a fantastic and unique promotional item that are sure to bring a smile to someone’s face, and would make a great item for weddings, parties or even photographers looking for a memorable way to promote their services. Give the gift of snapping a photo with one of our awesome branded cameras. 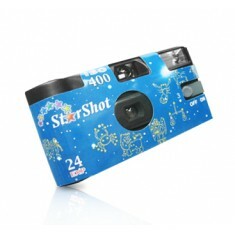 We especially love our Disposable Flash Camera, as it brings back memories from the pre-digital age for a fun, retro feel! This product is a great way to bring people together, and is a quirky idea for seating arrangements at events. Simply print your design to the entire card sleeve for 100% coverage, stick it on the table with a bottle of your favourite tipple, and watch the amusement unfold! Relive the night and get your films developed (or destroy them forever depending on the outcome!). Why not hand them out at a corporate event to promote your company both on and in the camera? Whatever your budget, our range of cameras are a fantastic souvenir, so why not speak to one of our team to discuss your needs! Pre-loaded with film. Customised in full colour to entire outer sides. Classic style. 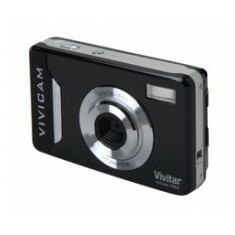 Vivitar digital camera with 7 mega pixels and 4 x digital zoom. 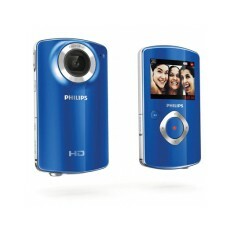 Compatible wit..
Pocket-sized HD camcorder captures videos with the touch of a button. Relive m..